The purpose of the competitions is to inform honey-growers, honey producers, beekeepers, processors, and retailers, who distribute their standardized products legally, to preserve and to ameliorate the quality of their branded product by promoting high-quality honey products in every aspect of the spectrum of its use and consumption. The London Honey awards exist as a way to celebrate the honor excellence in honey products packaging design. It encourages designers and brands alike to question their works and brings awareness to brand owners, marketers. The London Honey awards create a point where the honey industry can provide the innovation and stay informed of trends. In this day the honey winners will travel in London to get their (add valued) awards from many different countries. This event is open to anyone. It is a public event for consumers, wholesalers, retail stores, chefs, restaurant managers, journalists, food bloggers who want to participate must send their request filling out the contact form. eter Lewis lives in the Yorkshire Pennine hills and has been a keen artisan keeper of honeybees since the mid-noughties. Currently he’s the Yorkshire Agricultural Society appointed Chief Hives and Honey Steward at the annual Great Yorkshire Show. An active exhibitor and show steward has inevitably resulted in an interest in the British accredited style of judging honey, wax and all related hive products. He’s currently in the process of becoming a fully qualified Honey Judge, building hands-on practical experience through judging invitations, referral and recommendation, broadening his taste palate. Combining simple pure hedonistic enjoyment with systematic taste appreciation of what’s actually in the comb and jar, he took an intensive international “sensory analysis of honey” sommelier expert course in Bologna, Italy. This has led to further development study, applying organoleptics together with melissopalynology (honey pollens evaluation) to define UK – and worldwide – honey type provenance traceability with gustatory characteristics. Researcher and technical manager for honey quality control by chemical and sensory analysis at the Council for Agricultural Research and Economics (CREA) in Bologna, Italy for 26 years. He is the leader of the Honey Sensory group within the International Honey Commission, the leading organization to develop methods for honey quality evaluation. He is the President of the Italian Register of Experts in the Sensory Analysis of Honey with more than 25 years of experience as a teacher and professional honey taster. From 2008, Gian Luigi works as a panel leader for the international honey competition BioMiel. Gian Luigi studies the composition of royal jelly and propolis to open up the knowledge on the composition in order to characterize and control the quality. He is also a beekeeper and breeds bees for the production of swarms and honey. Founder of ApiMaye Innovative Beekeeping, Equipment, producer of Thermo Beehives. Experienced WBA Judge (World Beekeeping Awards) and a member of ApiMondia (World Beekeepers Association) with a demonstrated history of working in the Beekeeping Industry. Beekeeper and Beekeeping Equipment expert. Strong legal professional with a bachelor’s degree in International Business and Marketing from European School of Economics, Italy. Graduated from Bursa Uludag University Depertmant of Biology. Working in Central Research Institute of Food and Feed Control, Bursa-Turkey since 2009. He is also an expert on the palynological analysis of different honeys that collected from different regions; his PhD thesis was about the “Botanical origin of honeys from Marmara region (NW Turkey). Forestry Engineer and Master in Research in Engineering for the Conservation and Sustainable Use of Forest Systems is a professional beekeeper since 2012. He collaborated as an expert in the honey guide of Spain and Portugal 2018 of the web mieladictos. In their company Miel Montes de Valvení they make guided visits to the apiaries, tastings and pairings with other products to bring different types of honey to the consumer. Yannis Tsitsonis is a creative designer with an twenty year international career spanning from painting and illustration to animation and digital design. For more than ten years he owned and led Liquid Certainty Design Studio earning distinctions and awards in national and international level. A natural born storyteller he written, produced and directed his own animated series with unprecedented success. As a keen study of visual languages and human computer interface he co-invented data visualisation techniques and continues to exert himself in the effort to translate the enormous and complicated world of information into easily exchangeable and understandable visual models. Highly skilled and experienced award winning Graphic Designer with a strong background in visual communication. Strongly knowledgeable about all approaches to distance learning, creating unique e-Learning courses and training paths for a variety of subjects and industries. More than anything else, a Creative personality with a need of constant improvement. In 2008 established Bluetrees Studio (www.bluetreesstudio.co.uk) a Bournemouth based creative agency providing freelance creative services to companies and individuals both locally as well globally. A University of South Wales graduate in Graphic Arts with a Masters of Arts from Bournemouth University in Interactive Media. Deivid Colkevicius is a freelance graphic designer born in Lithuania and raised in London, with over 10 years experience mainly focussing on brand and editorial design. His interest into the world of design formed at a very young age and he began creating for friends, families and local businesses at the age of 11. Deivid has worked in several studios across London over the years and with hundreds of clients from start ups to indie music artists. As well as being Creative Director and responsible for the creation and launch of a successful mobile game in 2015. Deivid is a University of the Arts London: London College of Communication graduate in Graphic & Media Design. Brand & Product Designer currently living in London. My background is in industrial design and design thinking obtaining my degree at the University of the Aegean. After taking my master’s degree in design innovation at Loughborough London I have successfully completed four years in the design field. I have a soft spot for packaging and some of the projects I have curated, include olive oil brands. Educated as a service designer and fell in love with branding, Elisa is a curious mix of methodology and creativity. She gained her education between Milan and Gothenburg (BA Interior design, MSc Product Service System Design – Politecnico of Milan and Chalmers University of Technology) and now is based in London, where she works as Service Designer. Here multidisciplinary background together with the experience in branding and service designer, allowed her to develop an holistic view of the design process, and the desire to create meaningful experiences that work for people, from the very beginning to the very end. She is a creative thinker and doer, that ideates from diverse landscapes and apply them into new contexts by focusing on the solution – how to do more with less, how to make people happy. Effie Koukia is an award winning Brand Designer and Art Director with a background in Product Design (MA, ECA The University of Edinburgh) and Systems Engineering (MSc/BEng University of the Aegean). Effie is specialised in the development of holistic brand experiences and graphic systems, able to spread across from printed matter to 3D environments. She currently lives and works in London as a Senior Graphic Designer, building partnerships with leading global Hospitality and F&B brands. She has selected as one of Design’s Council’s Ones to Watch in 2015, a project which nominates designers with outstanding vision and potential to contribute to the UK’s reputation as a leading design nation. Zarya Zarkova is a Bulgarian born award-winning graphic designer and illustrator based in London. After graduating Norwich University of the Arts in 2010 she is awarded with a D&AD New Blood award and this leads the start of her career in packaging design and branding. She has experience at some of the top London design agencies working on leading UK and international food, drinks and skincare brands. Victoria is a writer and consultant in advertising, with experience from London, Madrid and Boston’s top ad agencies. Her portfolio spans national and global campaigns for Samsung, McDonald’s, Ford, and First Direct Bank. Highly entrepreneurial and with an eye for innovation, she also runs her own creative studio helping small businesses find their brand and hone their creative edge in the market. Daphne joined the advertising & marketing world early 2014 in a new global role responsible for a Global FMCG account focusing on postproduction. Her role shortly developed into creative expansion and leadership, with specific focus on ideation and repurposing on visual identity and impactful design. Before her role in advertising, Daphne worked as a graphic designer and new ventures manager at one of Greece’s celebrated creative studios with a significant portfolio of international award winning packaging and visual identity designs. Born in Athens, Daphne grew up in various European cities and spent time an extensive period of time in London where she finally settled and now works. She is Vakalo Art & Design College MA graduate with honors where through her studies she learned to respect, appreciate and evaluate art in all its forms. Her passion is design, social street art and strategic integrated campaigns. Ever since presenting his teacher with an intricate cowboy picture at the age of 4, Andrew’s passion has been to see his 2D creations come to life. It’s what led him to product and brand design. Andrew’s background in designing trains, planes and automobiles injects a sense of momentum into the award winning projects at Echo. Meanwhile his love for craft, be it Italian wine, shows or motorbikes, spills over into his drive to bring beauty to the everyday. Sara Carneholm is a graphic designer with 15 years’ experience of editorial design and graphic design for exhibitions and branding. Clients range from big institutions such as The Design Museum and The Royal College of Art, to individual artists, designers and makers. She has an interest in using traditional, analogue processes and tactile materials. Sara’s work is often type driven, and she enjoys playing with words and loves the smell of print. Dimitris is a multidisciplinary design consultant currently based in London. Among many activities and on a lifelong effort to better illustrate the perspectives of design, he has been publisher of the award-winning magazine “Multidisciplinary NTIZAIN”, founder and for 22 years Head of the Product Design school in ΑΚΤΟ Art & Design College, where he introduced for the first time in Greece the education of Packaging Design. He has founded the first Greek Innovation Lab related to design and has been Director for the Retail Network of the Benaki Museum and also for the MENTIS Center for the preservation of traditional textile techniques. He has curated for a number of years, the young designers’ presence and design research workshops at the TEDx Academy. On September 2015 he was a TEDx Academy speaker on Design Thinking. As an International ‘Bee Speaker’, Paula has established a reputation as an advocate of protecting and preserving bees through education on the connection of bees and plants. 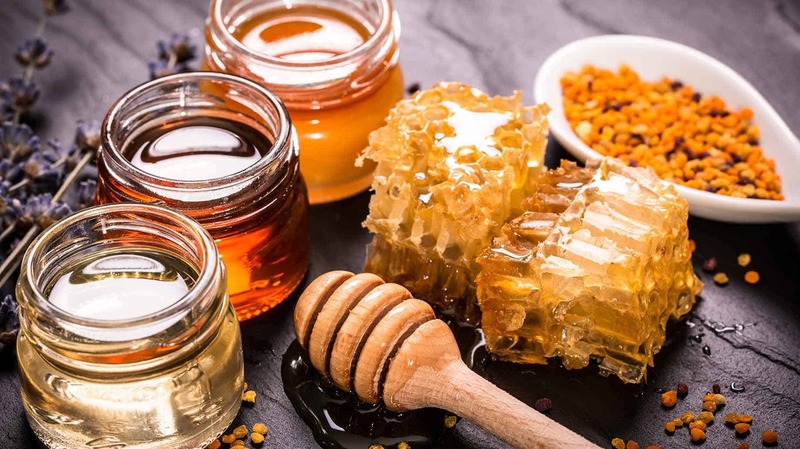 Honey is the embodiment of that connection and a reflection of the quality of the plants they feed on and the care they receive from their keepers. Studying Honey Sensory Evaluation in Bologna under the leading experts of the Italian Register of Sensory Analysis of Honey, Paula developed a passion for identifying the sources of honeys from both her native UK but also around the globe on her honey quests in Oman, Africa and Bhutan. Sensory panel leader within an American food company in UK. Works with an expert panel to understand sensory characteristics of food products to guide new product development. Responsible of day to day training for performance improvement. Graduate from Institut Superieur International du Parfum, de la Cosmetique et de l’Aromatique Alimentaire (ISIPCA) in Versailles, Ile-de-France and has a Masters Degree Specialised in Natural Raw Materials. Her higher education included a 1 year Apprenticeship with a flavours/fragrances supplier. Worked on emotions provided by flavours – Establishment of a new experimental protocol measuring flavours emotional effect. International food & beverage expert and sensory analyst, accredited official olive oil taster of the Italian Ministry of Agricultural, Food and Forestry Policies, certified taster of several products as well as panel member of many national and international food & beverage competitions and guides. Moreover, she’s very active in the field of enogastronomy, since she’s also a food blogger as well as a freelance collaborator of specialist magazines of the sector and consultant for chefs, luxury restaurants and hotels. Mojca Korošec is assistant professor in Nutrition at Department of Food Science and Technology, Biotechnical faculty, University of Ljubljana. She obtained the PhD degree in 2012, with dissertation entitled Determination of physical and chemical parameters for verifying the honey authenticity. Her research interests are physico-chemical and sensory analyses for characterization and quality assessment of the food, with special focus on honey bee products. She is a member of the International Honey Commission’s working group for Sensory assessment, and a member of the national and international panels for sensory assessment of honeys. Assistant professor on Faculty of Ecological Agriculture, University EDUCONS, Sremska Kamenica, Serbia. President of Serbian Honey Tasting Society. Organizer and participant of several schools for testing and evaluating honey . Organizer of many exhibitions of honey in Serbia. A member of the Honey Evaluation Commission at many beekeeping events in the country and abroad. As an internationally sought out speaker including Apimondia and the European Conference of Apidology, Raffaele has more than 10 years experience as a teacher and professional honey taster and panel leader for the Italian National Register of Professional Honey Taster and member of official Panel Test at CRA-API lab since 2005 and in several Honey Contests. In 2015, he found “AsSenso”, sensory analyses as an R&D tool for businesses. Raffaele also has written for national beekeeping magazines in Italy such as L’apicoltore italiano, Lapis and APOidea. I am an Agricultural Specialist in Beekeeping, studied in Italy. I have been head of beekeeping at the beekeeping department of the Ministry of Rural Development and Food. I have a diploma in honey tasting from the Italian Beekeepers Institute in Bologna, and I am member of Registry of Italian Honey Tasters. I have been a member of international jury for many years in international competitions of organic honey. I also hold a diploma in artificial insemination of queen bees. For many years I have been holding a six hundred-hive beekeeping unit to produce honey, pollen, royal jelly, etc.